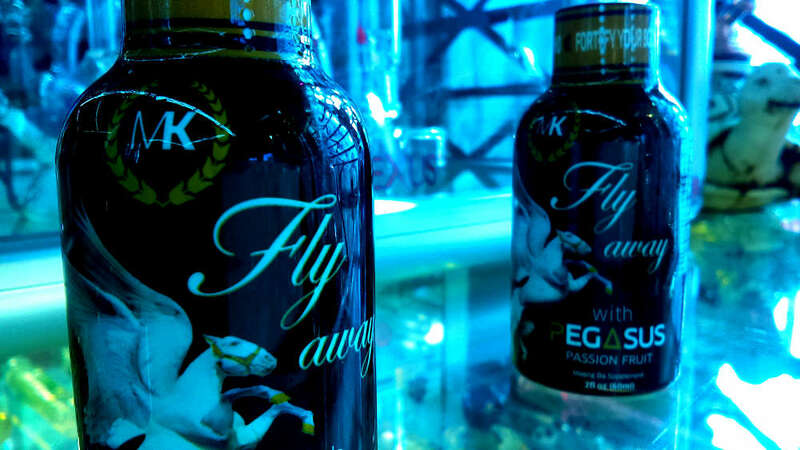 The Kratom Shot by Pegasus is one of the best tasting shots (usually a sign of weakness). However, this particular brand has done a good job of balancing flavor and potency in a kratom shot. There’s really no need to mix this shot into something else, its actually a very pleasant quick chug. Pegasus is basically a better tasting version of Viva Zen. At the bare minimum, we offer a price match guarantee on Pegasus Shots. Whats more, we always offer better deals to our returning customers as well as customers looking to buy higher quantities. We’re the best head shop to stop by on a leisurely day and browse and buy a kratom shot as part of the experience. Buy Best Kratom in Kansas city, we are located at few minute drive from Overland park ks, Near Liberty MO. Visit us and check out our selection not only Kratom but Smoking supplies, like e juice, vape pen, hookah, e mods, e nails, glass pipes, water pipes, hand pipes, and much more..